A Division Bench of Delhi High Court on Thursday rejected Mr. Prashant Bhushan’s petition challenging a provision under the Passports Act, 1967 and a notification which authorized the authorities to renew the Passport only for a period of one year, if the applicant had criminal proceedings pending against him. The Bench, comprising Chief Justice G. Rohini and Justice Jayant Nath was hearing a challenge to Section 6(2) (f) of the Passports Act, 1967 as violative of Article 21 read with Article 14 of the Constitution of India. Section 6(2) of the Act empowers the Passport Authority to refuse to issue a passport or travel document on the ground of pendency of proceedings before a criminal court in India, among several other grounds. Mr. Prashant Bhushan had also challenged the notification dated August 25, 1993 as unconstitutional and void. This notification stipulated that for issuance of passport to an applicant who had proceedings pending against him, if the relevant Court specified the period for which the passport had to be issued, the passport shall be issued for that period. 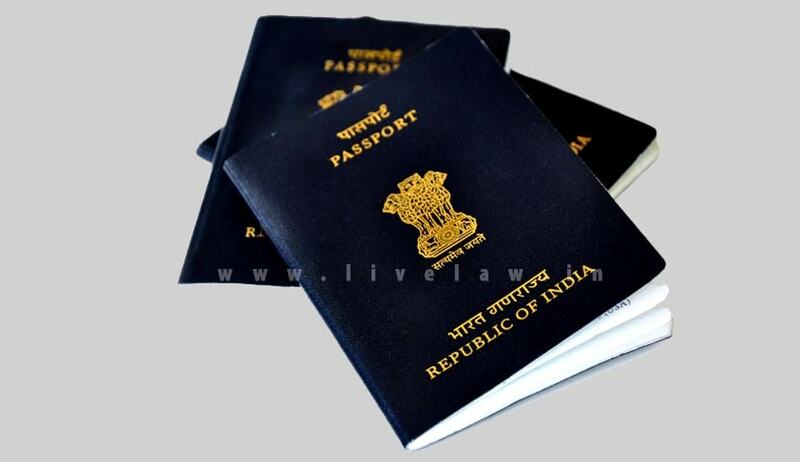 If no period was specified by the Court, the Passport was to be issued only for one year. The provisions were challenged after Mr. Bhushan’s passport, which was issued on May 2, 2006 under the Passports Act was renewed only for a period of one year, instead of a full validity period. Mr. Bhushan had made an application of reissuance on June 26, 2014, since he had exhausted all leaves in his passport. The application contained the details of all cases registered against him for the alleged violation of Section 144 of Cr.P.C and Section 3 of Prevention of Damage to Public Property Act, 1984, which are pending in Patiala House Court. Mr. Bhushan was informed that in view of the pendency of criminal cases against him, it was imperative that he obtained a No Objection Certificate from the Court where the cases were pending. Such NOC was issued by the Metropolitan Magistrate, Patiala House Courts, New Delhi. However, the Passport Officer issued the passport with validity for a period of one year only. This was done in view of the notification dated August 25, 1993, as no period was specified by the Court granting the No Objection Certificate. The petitioner had then sought a declaration that the notification was unconstitutional and that he was entitled to re-issuance of passport for full validity of ten years. He had contended that the issuance of passport up to September 11, 2015, even though his passport was valid up to May 3, 2016 was arbitrary and illegal, resulting in violation of his fundamental rights guaranteed under Articles 14, 19 and 21 of the Constitution of India. Mr. Bhushan had also contended that the impugned notification made no distinction between people facing charges of committing heinous offences and those charged with a simple offence of participating in unlawful assembly. This was submitted to be arbitrary. Section 6(2)(f) was termed as violative of Article 14 of the Constitution of India, as it failed to make a distinction between heinous and minor crimes, as also between bailable and non-bailable offences. “The object behind incorporating clause (f) as one of the grounds for refusal of the issuance of passport appears to be that permitting a person facing criminal charges to go abroad is against the interest of the State and society at large. As mentioned above, the restriction under Section 6(2) (f) is not absolute but the same can be relaxed in appropriate cases with the permission of the court in which the criminal proceedings are pending,” the Bench added.